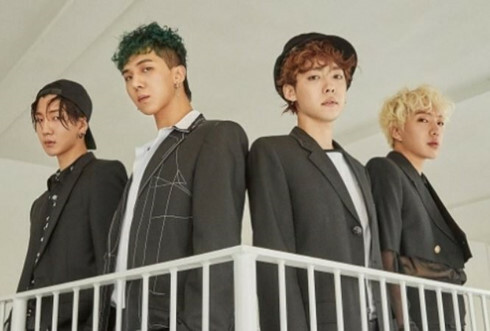 Well-known Korean band Winner will come back to Vietnam for a concert in Ho Chi Minh City on August 26. According to the organising board, the band will arrive in Ho Chi Minh City in early morning of August 26. They will join a press conference in the afternoon and perform 3 hit songs at the final night of a music festival in the evening. Before flying to Vietnam, Winner revealed a video clip saying “Hello” to Vietnamese fans. It is not the first time the Korean band has visited Vietnam. Last month, they came to the city to perform at V Heartbeat Open Ceremony Show, which attracted the participation of Vietnamese singers Ha Anh Tuan, Noo Phuoc Thinh, Vu Cat Tuong, ERIK, and Chi Pu. Formed in 2013 by YG Entertainment, the band consists of four members, Jinwoo, Seunghoon, Mino and Seungyoon. Winner made their debut at the YG Family Concert on August 15, 2014. They won a number of awards for Best New Artist in 2014, including the Mnet Asian Music Awards, the Melon Music Awards, and the Golden Disc Awards.